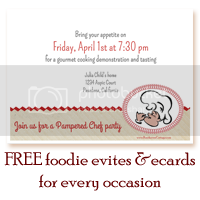 Grammy's Recipe Box: Oranges, poranges... who says there ain't no rhyme for oranges! Oranges, poranges... who says there ain't no rhyme for oranges! 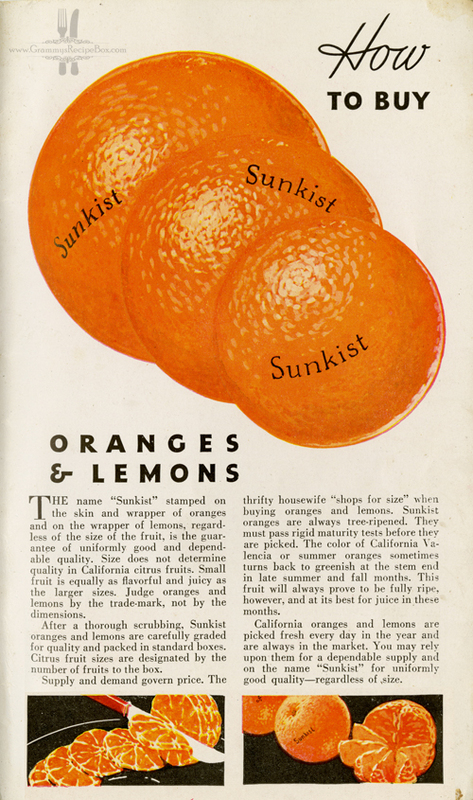 When I think of Christmas time, I think of oranges and other orange-colored citrus fruits. I think of picking out just the right oranges that will be the sweetest and juiciest like the one Santa always left me in the toe of my stocking. 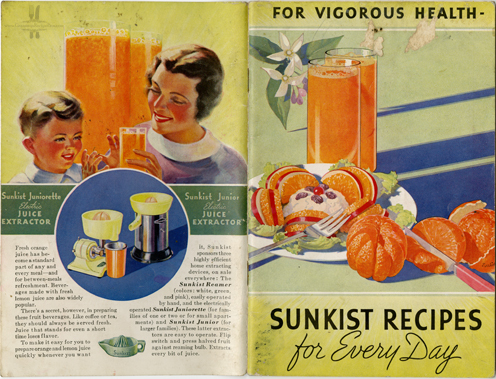 In my collection of vintage cooking pamphlets, I have a wonderful informational recipe booklet produced by Sunkist in the mid-20th century. The advice still holds true today, so I'm sharing. Here's to your "vigorous health"! Enjoy! P.S. Wondering about the title of this post? Click here to hear the song.